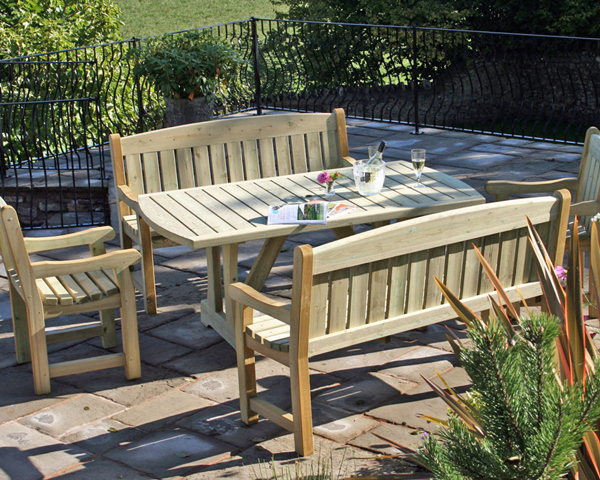 This is a set consisting of our Cotswold Dining Table with 2 Cotswold Chairs and 2 Cotswold 5ft Benches. Length: 1780mm, Width: 1000mm,Height: 760mm. Width: 1520mm, Depth: 620mm, Height: 965mm. Width: 680mm, Depth: 620mm, Height: 965mm.